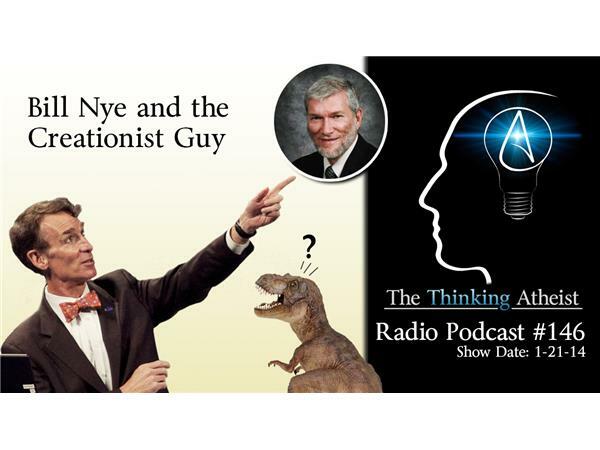 On February 4th, 2014, Bill Nye ("The Science Guy") has agreed to debate Ken Ham, president of Answers In Genesis and The Creation Museum. The debate will take place on Ham's home turf, at The Creation Museum, and the 800 available tickets sold out almost immediately. This event raises the larger question: Should scientists agree to these types of debates? Joining us in this discussion are Matt Dillahunty, Dr. Richard Carrier, Greta Christina, David Silverman, Ed Hensley and AronRa.